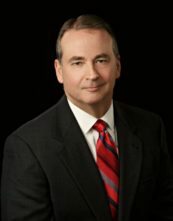 Mr. Holcomb offers clients 34 years of experience practicing in state and local taxation. He represents clients before the Florida Department of Revenue and local taxing authorities, and in litigation at the trial and appellate levels. Mr. Holcomb advises clients on a broad range of state and local taxes, including corporate income and franchise tax, sales and use tax, documentary stamp tax, communication services tax, insurance premium tax, ad valorem tax and motor fuels tax, in tax controversy work and in planning opportunities. Represented magazine publisher in litigating refund of discriminatory sales tax and obtaining retroactive relief granted by the U.S. Supreme Court. Successfully defended online travel companies through the Florida Supreme Court in litigation filed by multiple counties claiming unpaid hotel bed taxes. Developed and implemented corporate restructuring plan for retail client to realize tax exemption potential and maximize tax savings. Advised financial institutions and equipment leasing companies on minimizing documentary stamp tax exposure. Designed owner direct purchase program for deployment by general contractor to realize tax savings. Represented manufacturer in nationwide voluntary disclosure of sales tax and business activity tax. Assisted foreign manufacturer in negotiating local credits and incentives for relocation of facility. Advised transportation company on state and local tax aspects of asset acquisition by nationwide carrier. Represented motor vehicle leasing company in defending class action lawsuit regarding taxability of end-of-lease charges. 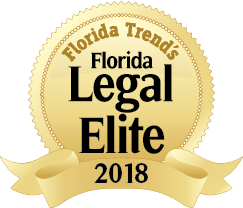 Quoted in Bloomberg Tax on the 2018 Florida Legislative preview, published in January 2018.